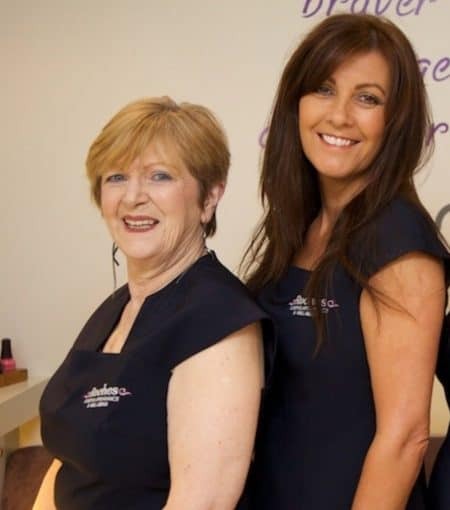 Domenica and Samantha are qualified and experienced breast care fitters who love helping women who find themselves in the same position they were in over 10 years ago. Domenica had her mastectomy in 2005. Her experience of being fitted for bras and prosthesis after hospital was very disappointing and she jumped at the opportunity to design her ideal breast care service in Roches. 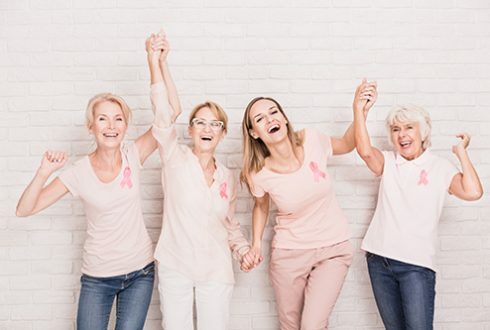 Samantha was diagnosed at 35 and after a mastectomy and immediate reconstruction, she still felt the need to be fitted for a bra professionally, by someone who recognised and understood her needs. During the 2 years it took for her surgery to heal properly, she struggled with looking a little uneven and wished she’d known about partial prostheses and soft supportive post-surgery bras. She wants women to be informed and have choices. We understand that each and every client has their own specific requirements. Your breast form is designed to mimic your natural breast and they do. Made from materials that resemble the movement, feel and weight of your natural breast, they come in different shapes, sizes, profiles and colours that feel soft and smooth to the touch. Everyone’s shape and surgery is different. Carrying a wide range of breast forms from many different suppliers ensures that we have the right shape for you. We are constantly updating our ranges with your comfort and confidence in mind and trial everything on ourselves first. We really believe that looking good and feeling good are an integral part of the healing process so stock everything a woman could need to feel comfortable, confident and feminine again. Choice is key in our opinion, so we bring you a huge selection of lingerie that is both comfortable and gorgeous to wear. All shapes and sizes are catered for in every imaginable style. From soft, comfy front opening bras for right after your surgery to under-wired, multi-way and even strapless mastectomy bras for when its time to wear that little black number again. We’re with you all the way and look forward to restoring your confidence and shape. Just because you’ve had a mastectomy, doesn’t mean you have to cover up and never enjoy the beach again! Having such a drastic change to your body like a mastectomy can leave you feeling a little pool shy. Many women feel they can’t wear the same clothes they once did before treatment and surgery. Maybe certain tops or dresses make them feel exposed as they want to hide scars and shapes, so they just don’t wear them. There are many swimwear options for women who wear a breast form. There are also special swimming breast forms available to insert into the swimsuits. Scars can be hidden using certain styles of swimwear cover ups so you don’t have to be reminded or feel self conscious, and you’ll be ready to swim again!